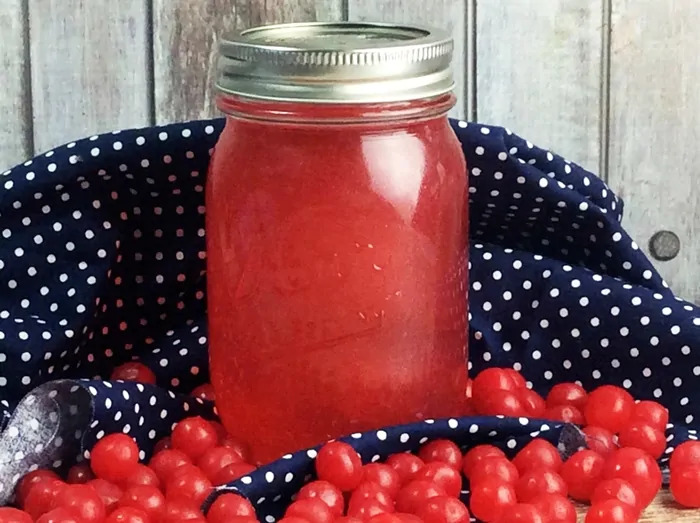 Sour cherry moonshine — a sweet, puckering homemade moonshine made from infusing Everclear, cherry vodka, and sour cherry candies. 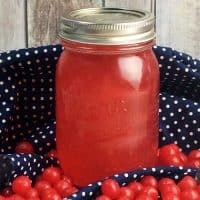 Ever since we posted a recipe for Black Widow Venom Moonshine, I have received requests for more homemade moonshine recipes. Today I am excited to be sharing another flavored moonshine recipe with you guys. 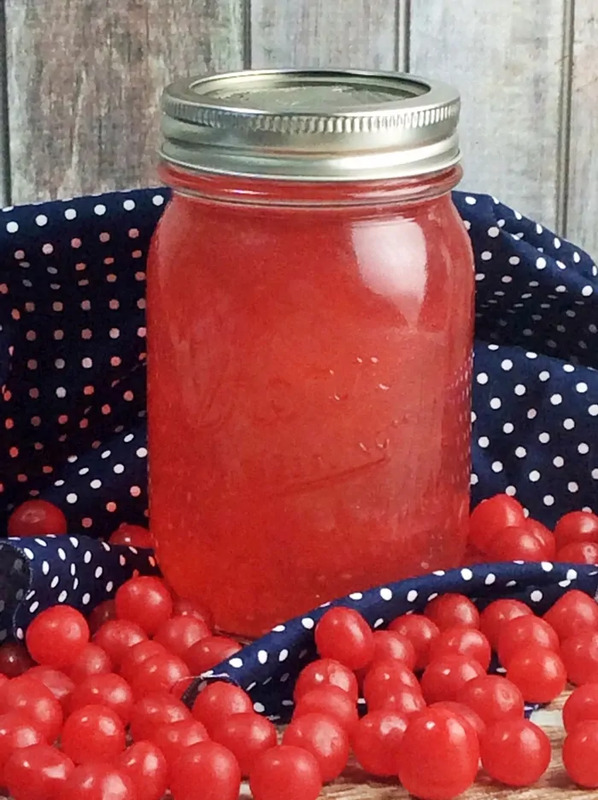 If you love sour-flavored candies, you are going to flip for this delicious sour cherry moonshine. 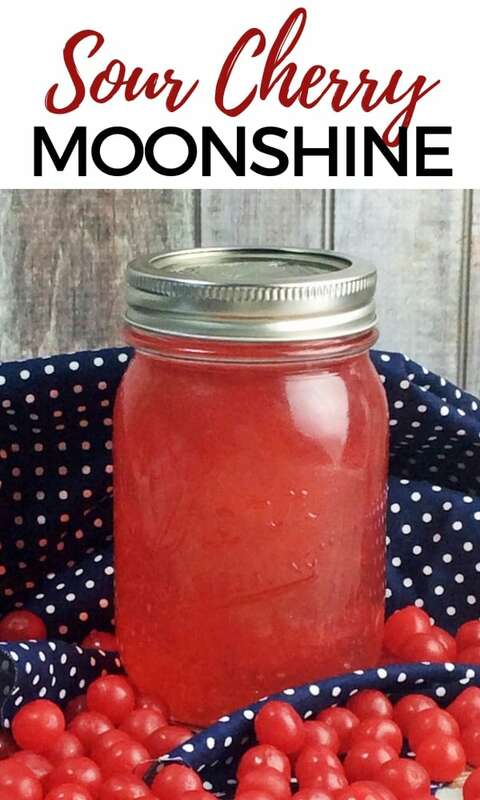 Or if you enjoy a cherry vodka sour, you will probably be a sour cherry moonshine fan as well. It’s the type of spirit that goes down easy and makes incredible cocktails. Of course, the flavor of this sour cherry moonshine by itself is so amazing that you may just want to drink it straight. And that is perfect OK too! Like I always mention in our moonshine recipes, they really are simple to make. The tough part is the wait. For the flavors to infuse properly, the moonshine mixture has to sit for at least a week. But trust me… it is so worth the wait! You’ll have an incredible sour cherry flavored moonshine that everyone is going to want to taste. This sweet, puckering spirit is sure to become a favorite. Homemade moonshine also makes an amazing gift. Whether you’re giving it for the holidays, Valentine’s Day, or even just because – everyone is going to love it. If you want the cherry flavor without the pucker, you could try using regular cherry candies instead, such as cherry hard candies or cherry-flavored jelly beans. If you try this, please drop a comment below because I would love to know how it comes out! So, what are you waiting for? Get in the kitchen and start making your moonshine ASAP. Because the sooner you get started, the sooner you’ll be able to enjoy it! 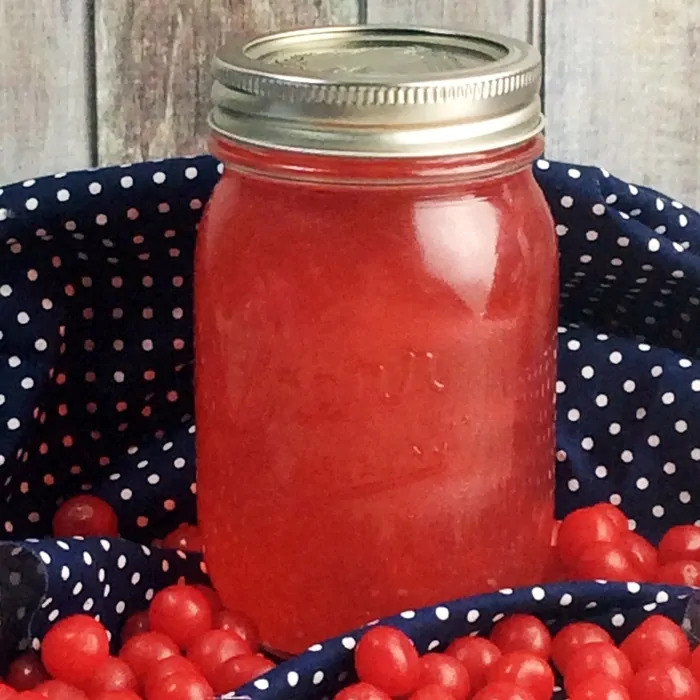 A sweet, puckering sour cherry moonshine made from infusing Everclear, cherry vodka, and sour cherry candies. In a medium saucepan, bring 2 cups water to a boil. Add sugar and stir constantly until completely dissolved. Remove from heat and set aside to allow to cool thoroughly (about 15 minutes). Pour sugar water, additional 2 cups water, Everclear, cherry syrup, and cherry vodka into a large pitcher. Stir to combine. Divide sour cherry balls among mason jars (we used 16 oz mason jars). Then, pour the liquor mixture in on top of them, filling each jar to the top. Close the jars and place in the refrigerator for 1 week. After a week, pour the moonshine from each jar through a strainer into a pitcher to remove any remains of the sour cherry candies. 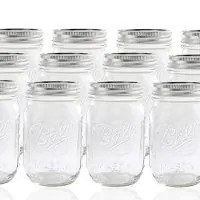 Then, pour moonshine back into the mason jars and shake to ensure flavors are well blended. Store jars in refrigerator until ready to enjoy. 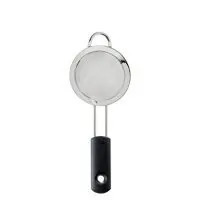 Can be enjoyed straight or used to make a cocktail. I have never made my own flavored moonshine before… I didn’t know it was so easy! I can’t wait to check out your other recipes. Thank you! You had me at sour cherry…and what a fun recipe! I love it that it’s called moonshine. Time to start planning holiday gifts and this is perfect. Just pinned! ahhh what a great recipe! 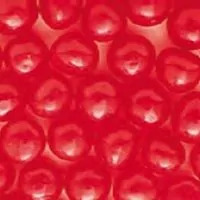 never would have imagined the sour cherry candies, what a great idea! Wow, this looks so fun! I really want to try it! I love making my own flavor infused cocktail mixers! I’ve made cherry infused vodka, but nothing like this. The possibilities for this are endless … how exciting!! This looks so awesome! Can’t wait to try it! What’s an example of cherry syrup?